The first half of our Spring Break trip took us to snowy Tennessee. After four nights of camping just outside of Great Smoky Mountains National Park, we broke camp and drove east on I40 into western North Carolina. We were spending the second half of our trip near Asheville, AKA Beer City, USA. 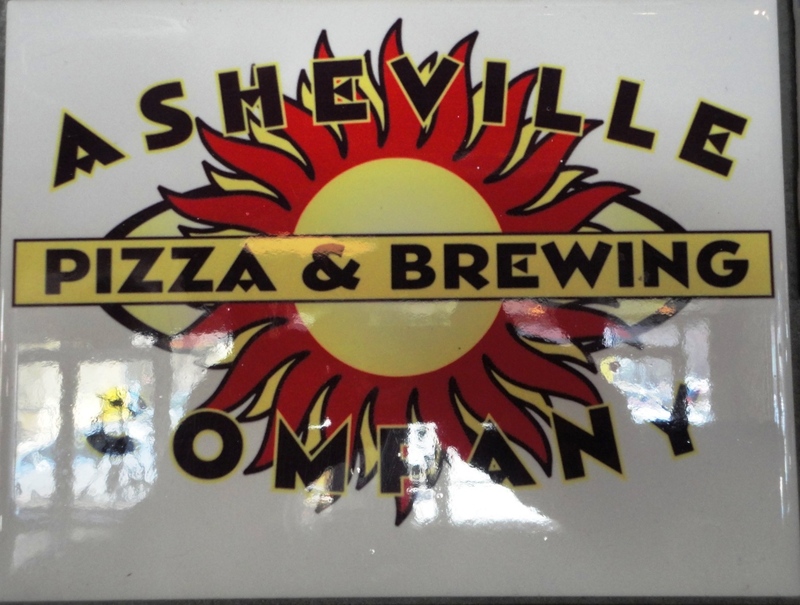 We had to drive through Asheville and go further east to get to our campground, so we decided to stop for lunch at the Asheville Brewing Company, north of downtown on Merrimon Avenue. I was drawn to the brewery-restaurant by the description on their website, “At our original Mothership on Merrimon Avenue, you’ll find the most kid friendly brewery this side of the UK.” As the father of twins in 5th-grade, this sounded like our kind of place! It turned out to be perfect. There was a large parking lot in the back where it was easy to park our van and RV. We sat ourselves and were quickly greeted with friendly service. There was a pizza and salad buffet, but we decided to order off the fun menu that featured dishes like Lord of the Rings and Jaws Sandwich. Deciding what to order was a really tough decision, but I was happy with my pick. I had the best quesadilla ever – the La Bamba Quesadilla, made with spicy Spanish chorizo sausage, black beans, red onions, bacon, mozzarella, provolone, and cheddar. For dessert, I sipped a half-pint of the mellow Scout Stout. I also sampled Beth’s Rocket Girl, a light Kölsch — later in the trip we bought a six-pack of Rocket Girl cans to enjoy around the campfire. 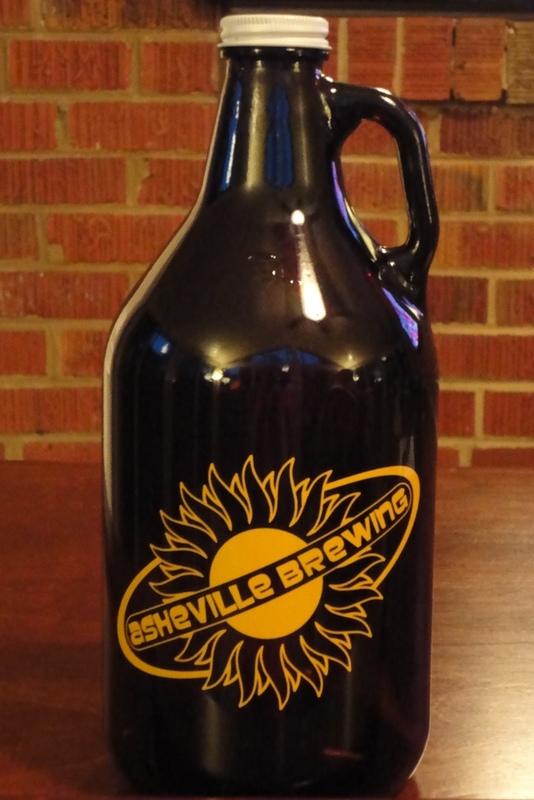 We loved Asheville Brewing Company and I hoped to visit their other location downtown during our trip, but we never got there. 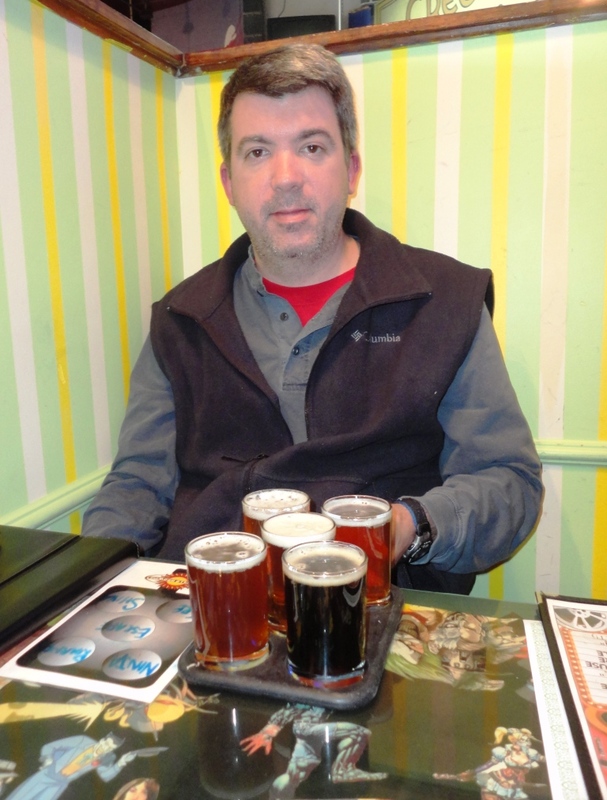 It will be a must-visit on our next trip to Asheville – I’m definitely headed back to Beer City USA.